The economic downturn has led to an increase in companies that try to cut payroll costs by illegally classifying workers as independent contractors rather than employees. This practice costs the government billions in lost revenue and can leave workers with nothing when they are hurt on the job or are laid off. The Internal Revenue Service and 37 states are starting to crack down. It can be a blurry line between employee and contractor status, but it is important to know which you fall into. These are some tips for determining your status to make sure you receive the benefits you deserve and to prevent yourself from being taken advantage of by companies engaging in unlawful practices. Companies Worked For – A key indicator of independent contractor status is when the worker does the same work for multiple companies. Expense Reimbursement – Independent contractors are more likely to have expenses that are not reimbursed. Employees are typically reimbursed for business-related expenses. Workers’ Investment – Independent contractors most often have a significant investment in the services they use, most significantly an office or work space, and are not provided tools, equipment, or supplies by employers. Pay Periods – Independent contractors are typically paid by the job, while employees are paid by the hour, week, or month. Pay Rate – Independent contractors make a profit or loss on the job, while employees receive paychecks regardless of whether the company makes money. Permanency – If a worker is hired with the expectation that the job will be permanent, or until further notice, they are generally an employee. Benefits – Independent contractors are typically not provided benefits, while employees receive benefits such as insurance, pension plans, vacations, or sick days. 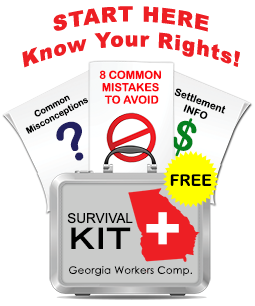 Have you been injured on the job and are not sure what category of worker you fall into? Feel free to use the Free Case Evaluation form on this website to discuss your particular circumstances with an experienced workers’ comp attorney.